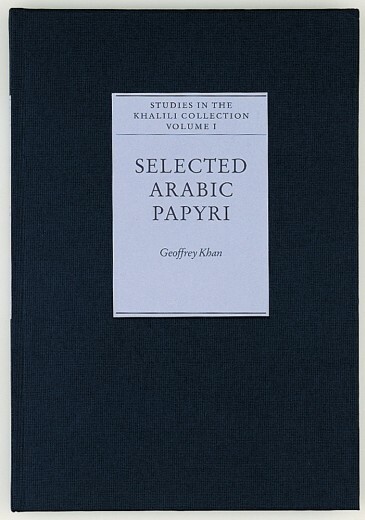 This volume contains a detailed examination of 36 of the papyri in the Collection, all written between the 8th and 10th centuries, before the Fatimid conquest of Egypt in 968. The documents, which consist of accounts, legal transactions and letters, were selected because they were preserved in a reasonably complete form or, when of a more fragmentary nature, because of the importance of their content. The papyri documents constitute a valuable source of information on a wide array of subjects, especially social and economic history, topography and diplomacy. They are also important for the study of the Arabic language. The documents are fully illustrated, and the texts are reproduced in their original language with full translations and detailed commentaries on the script and the contents. The introduction includes a thorough, illustrated analysis of the scripts.